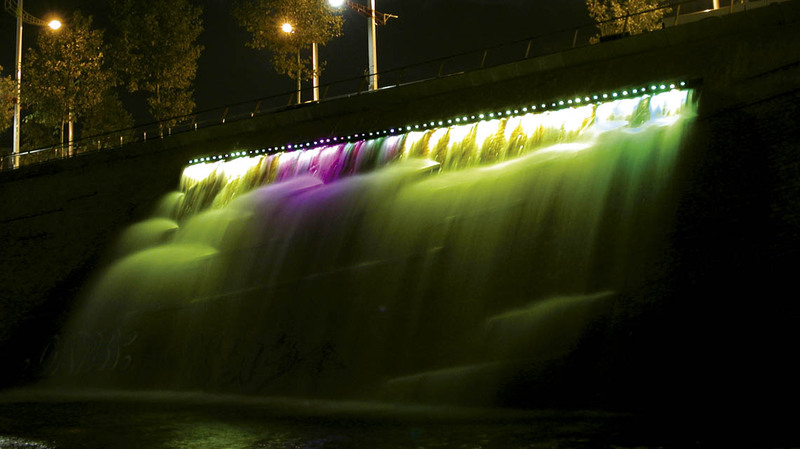 For the largest modern waterworks in Barcelona, comprising a waterfall, geysers, high-pressure lances, arched jets, underwater spots and uplighters, the designers specified fiber optics as sole source of light. 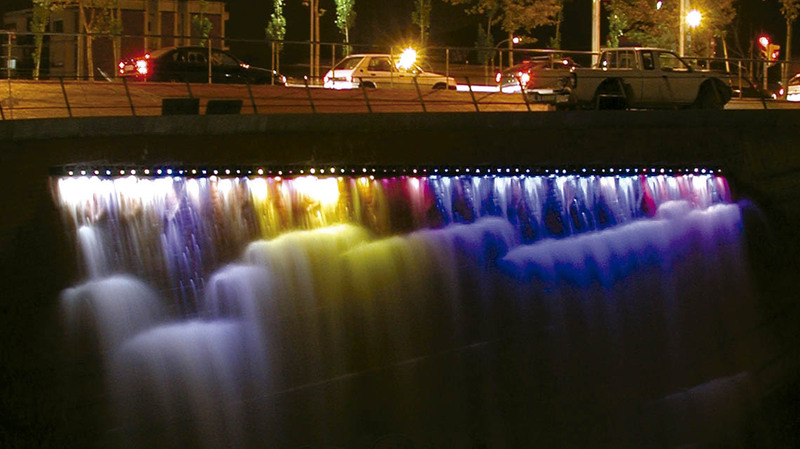 The whole installation operates on white light, with the exception of the waterfall where random colors change continuously through infinite combinations. The fiber end points were installed on a specially designed support beaming downwards onto the rushing water sheet. The effect is magical. HLG301 6,5mm high performance light guides with waterproof terminations and clad in Megolon. MDI102, Modular Discharge Illuminators with 6 color dycroic color change and 150W metal halide lamps.